I have been so busy lately! I never really recovered from the Thanksgiving break, and now the Christmas break is coming so fast. I am also in the process of entering the housing market game so I am obsessed with all things home buying and DIY. To make matters worse, my BF is in the midst of finals week, so I have relinquished the desktop station at home to him lately. So for my hair... Very little love. Wash and goes, then a retired wash and go pony puff, then whatever I can get away with has been my cycle for a few weeks now, despite the cold weather. But this past week, I had a few bad days. I had visions of actually cutting my hair very soon, (and buying clothes, happy clothes and boots and shoes). I decided, instead, to show off my length for once before I loose it. Maybe. It never looks long, but it is long, which just makes many styles take longer and require more skill than they used to. I pressed it on Saturday in a flourish of blowdrying and swipes with a tired, years old, revlon "ceramic" hot iron. Said iron began peeling from one of the plates halfway through pressing to reaveal- shiny silver metal underneath. sigh. But my hair came out OK. for that day. 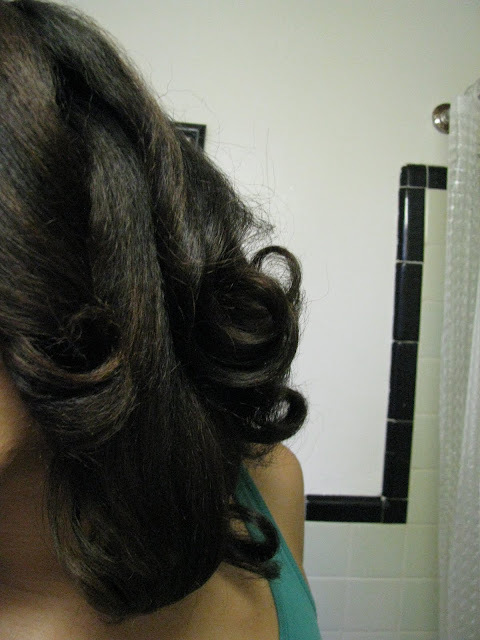 I slept in flexible curlers that night to achieve the curly wrap look on Sunday. But when I took the curlers out, I had an old school halfway straight/halfway bushy mass of hair that did not retain the curl after wrapped it and took it down a few hours later. It's in a fluffy ponytail today. I don't feel like fighting it back straight. I'll see what I can come up with while I prolong the time before I let it fully revert. The other funny thing- is that I have been hiding it. I don't want to give any curly haters any ammunition to ubercompliment the bushy but straighter/closer to "normal" hair. I breezed by our concierge with my hat on and wore my hat sporadically throughout the day. I feel no need to show off the length any more. Funny how that bright idea came and went. I didn't want to spend the money (or risk damage) for a harder press, and I'm glad I didn't. 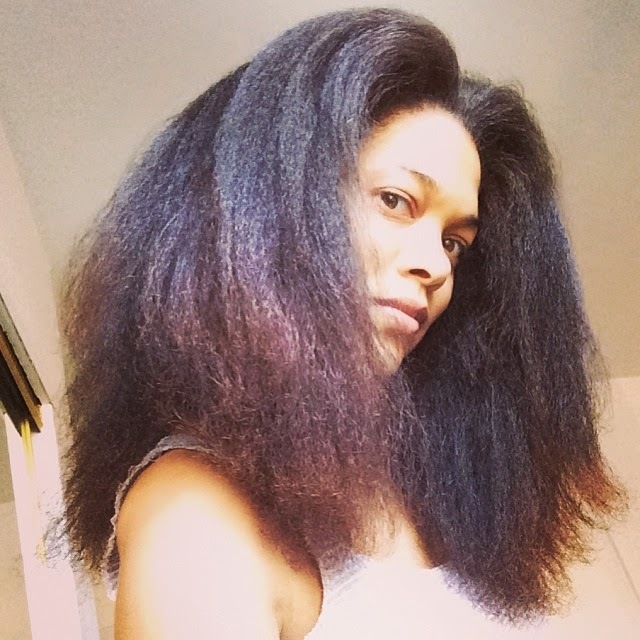 Thanks for sharing this story I did my big chop in December, and because I'm so used to my hair longer when it's straight I've had the these scary thoughts like "what if it never grows!" Which I know it will, my hair has always grown fast. But it's encouraging to see your hair story because I think we have similar curl patterns. Thanks again!